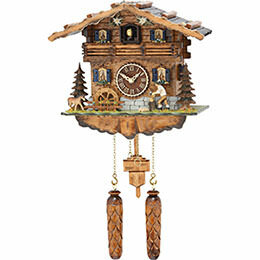 The idyllic Simonswälder Valley in the Black Forest is the source of the magnificent Trenkle cuckoo clocks. 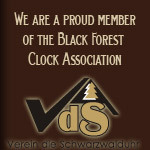 The clock factory, established in 1966, is located deep in the Black Forest region and rooted in the town of Simonswald. 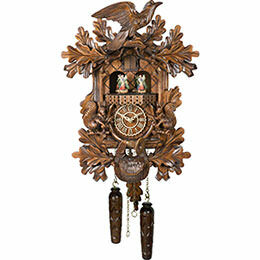 25 employees ensure that customers all around the world are able to enjoy high-quality Trenkle clocks. 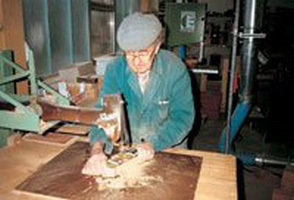 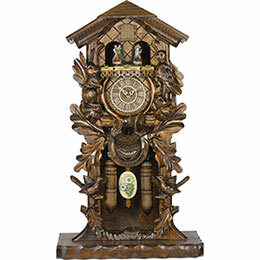 The closeness of the company with the valley is clearly visible in the production of the clocks: The complete process of making the case and the clock takes place in their own workshop facilities, all located in Simonswald. 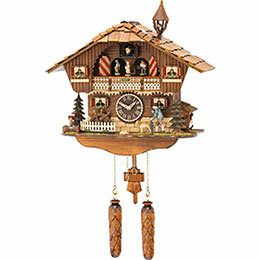 Domestic woods from the Black Forest are used, and every single one of the employees even comes from the picturesque Simonswälder Valley. 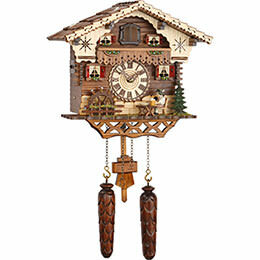 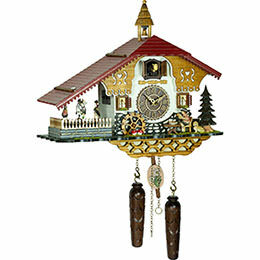 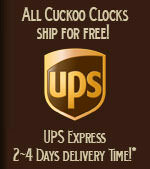 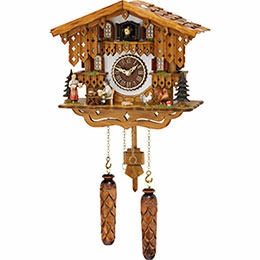 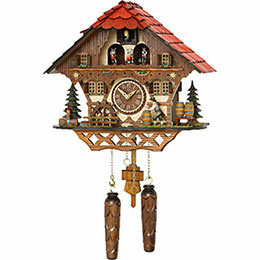 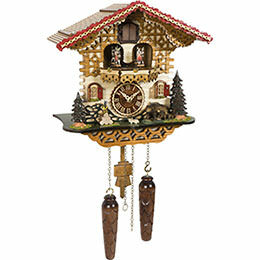 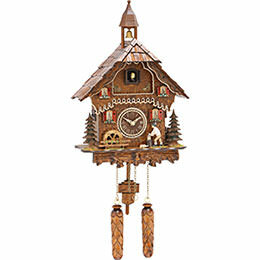 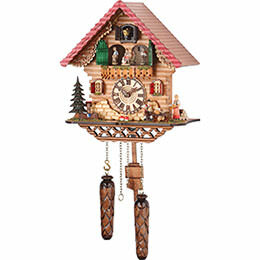 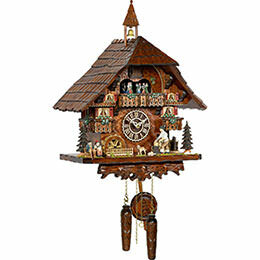 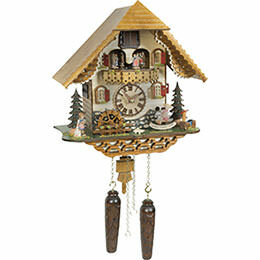 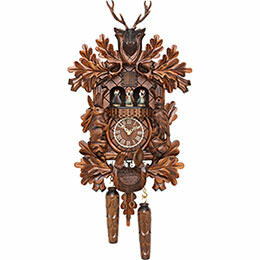 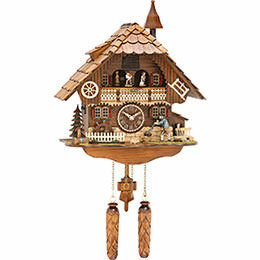 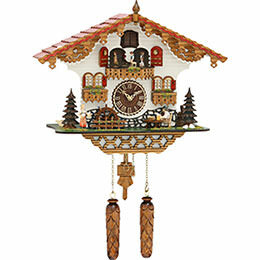 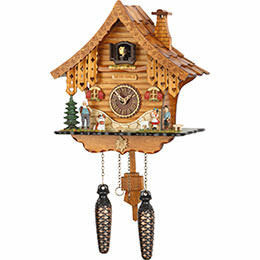 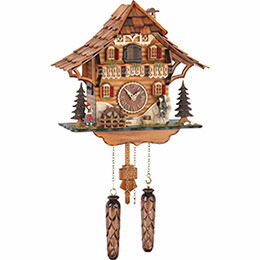 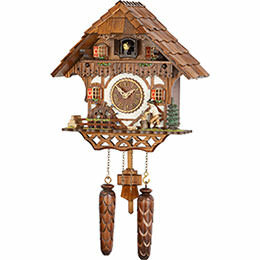 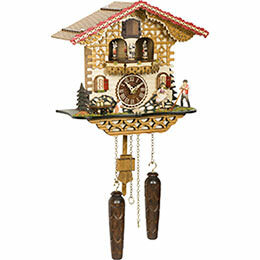 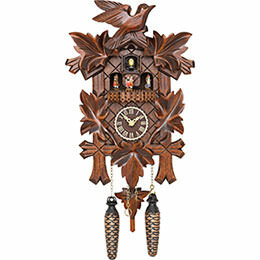 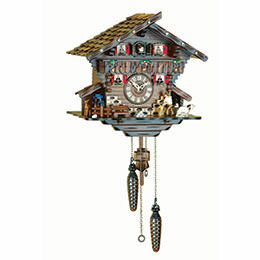 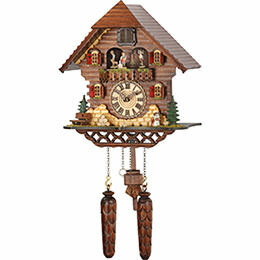 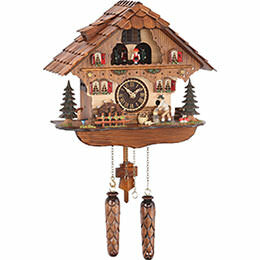 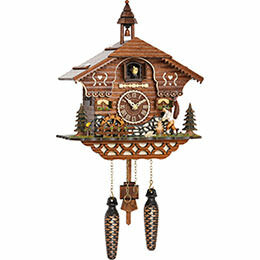 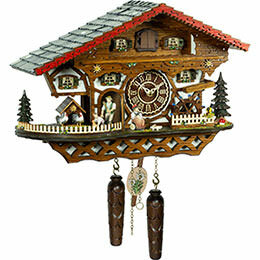 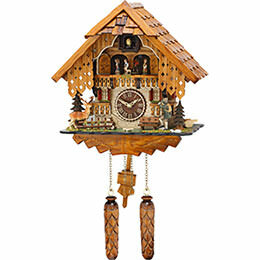 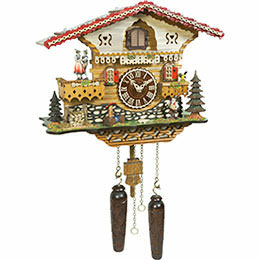 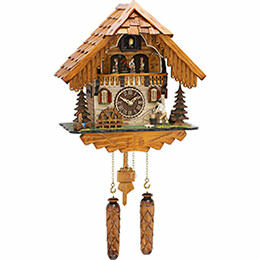 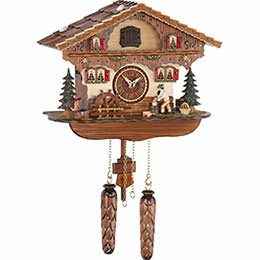 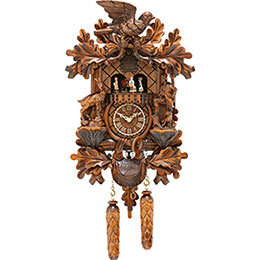 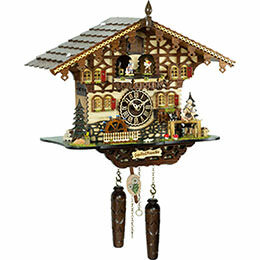 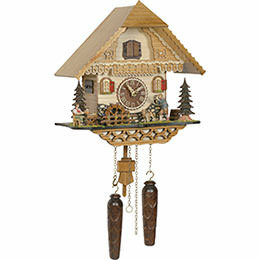 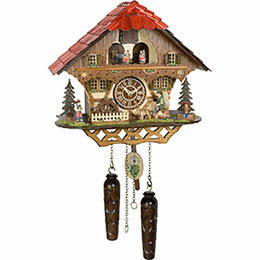 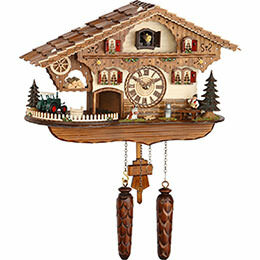 Trenkle Cuckoo Clocks GmbH is a trailblazer above all in the segment of smaller cuckoo clocks. 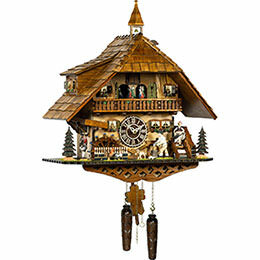 Numerous weather houses, pendulum clocks and swinging clocks have been sent from Simonswald out into the world, bringing joy to lovers of Black Forest clocks around the globe. 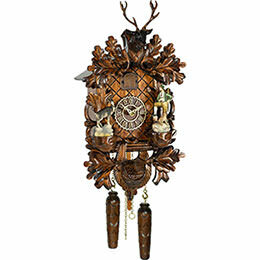 With these models, Trenkle Clocks is able to capture the diversity of the Black Forest region in a small space and in such a cost-effective manner that they are made affordable for everyone. 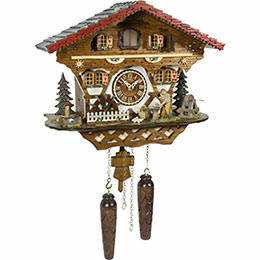 But you can also rely on the highest quality of Trenkle's beautiful chalet and carved models. 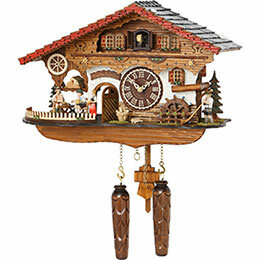 Each cuckoo clock goes through several internal checks to ensure that the high demands Trenkle makes of its clocks are indeed fulfilled. 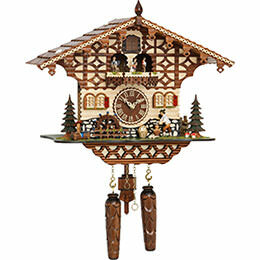 The highest quality “made in Germany” from a traditional company directly from the Black Forest – you get all of that affordably with a Trenkle clock. 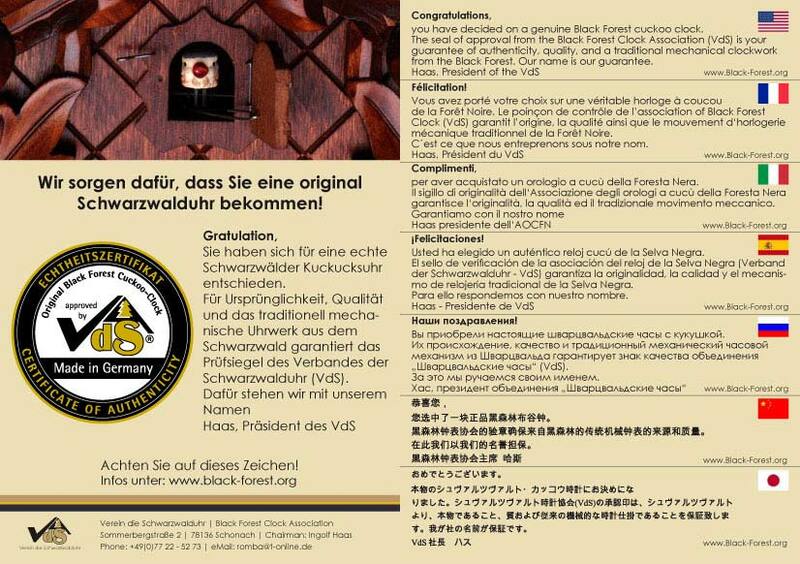 And you don't have to accept any cuts in terms of quality: The family company Trenkle Uhren GmbH puts its name behind this.